Close your eyes and think on the word patio for a minute. What image comes to mind? Maybe, you see those rectangular concrete slabs that were so popular in the 1970’s. Perhaps your mind took you to a recently attended flower or home show, with elaborate displays of pavers and wall systems. A few of you might have included some plants, or most likely a large expanse of lawn. Easy to conjure up these images, and think we now have the essence of a patio. But, what really makes a patio a patio? If we are to take lesson from these examples, then a patio is very simply is a flat paved surface in the back yard where you gather with friends around your outdoor dinette. Sounds ok, right? Sure, why not, it’s functional, social, and convenient. To me though, there is so much more this outdoor space. In fact, to me the word patio should never stand alone; it should always be combined with the word garden. Close your eyes again, but this time, visualize the words patio garden. Does that bring about a different image? 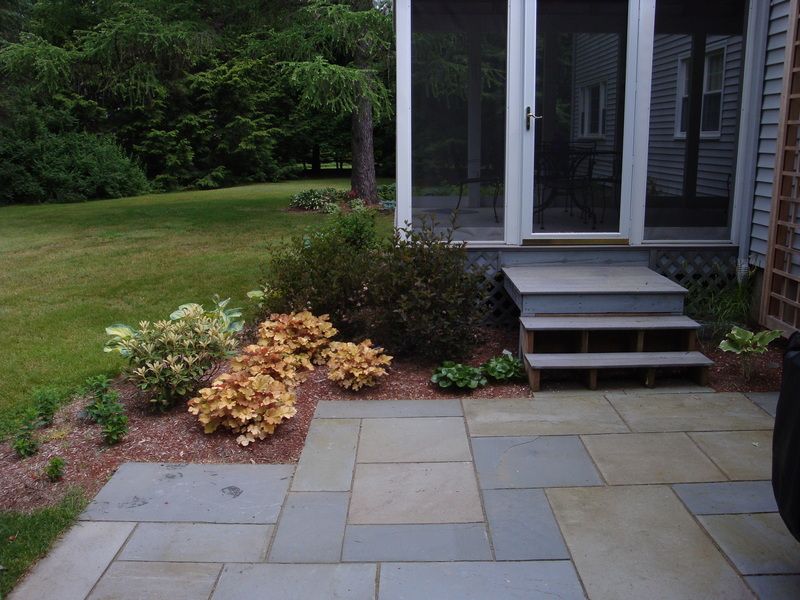 Let’s take a look at a few essential elements of a patio garden, and then let’s see if that image might change. The architecture of your building should provide more than enough right angles and straight lines for your entire landscape, so let go of the rigid geometry and open your mind to soft elegant curves. Or better yet the communal shape of a circle. If the shape must be must be angular, then try and offset the shapes to provide space for plants to soften the edges. 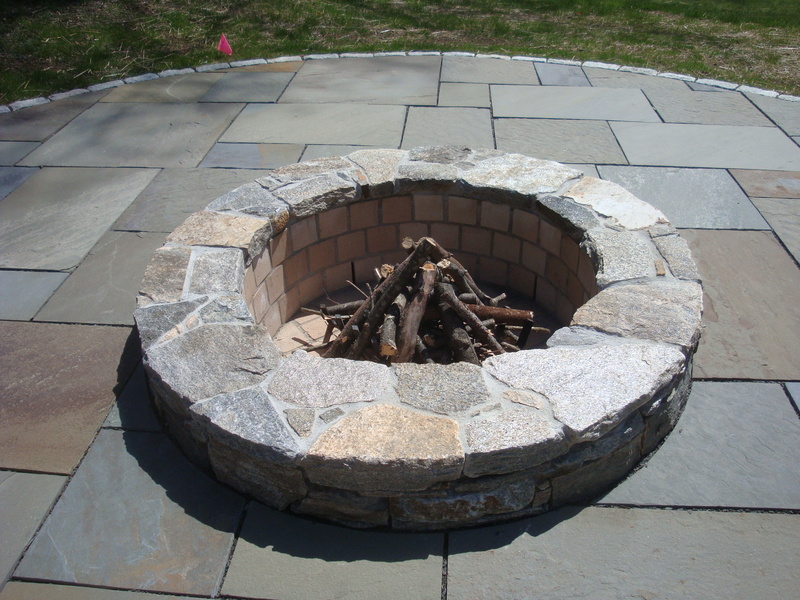 Fire pits are very popular now, and for good reason. Sitting around a fire calls back to our ancient past, and stirs something deep inside each of us. Perhaps it’s the sense of safety, perhaps the calming sound of the crackling fire, or maybe it’s just a focal point for our attention as we discuss the events of the day. In any case, there’s bound to be s ‘mores, so best to include a fire pit. Design has set its sights on the plain ole fie pit, and there are options for every taste; from stone, to iron, portable and permanent, there are new choices each year, so make a statement with yours. 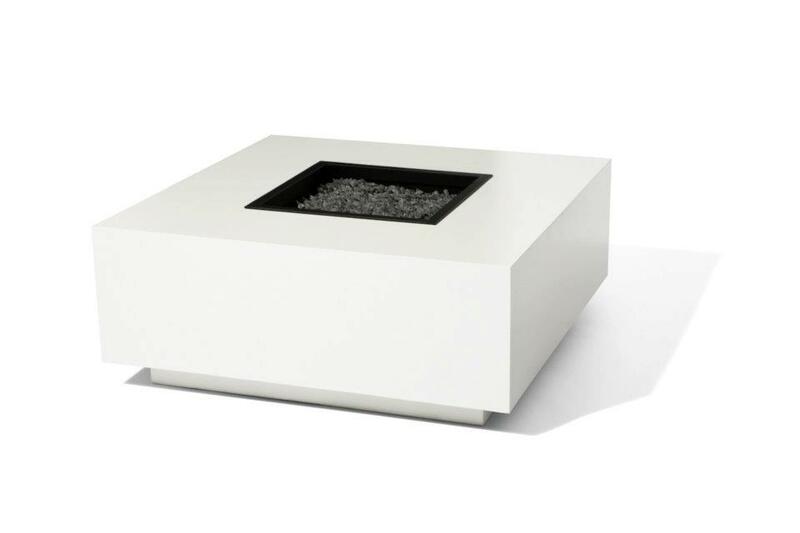 A beautiful modern take on the fire pit from Ore, Inc.
Like fire, water is very good at setting a mood. 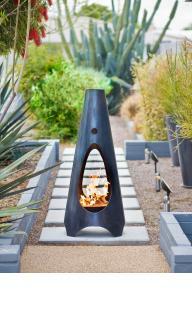 Water features have a head start on fire pits though, having been a popular part of the modern landscape for quite a while, so the options are many; from wall mounted, to sculptural, to pond less waterfalls, each brings its own feel to the garden. And, opposite its combustible counterpart, will draw in wildlife. What fauna and how big are entirely up to you! 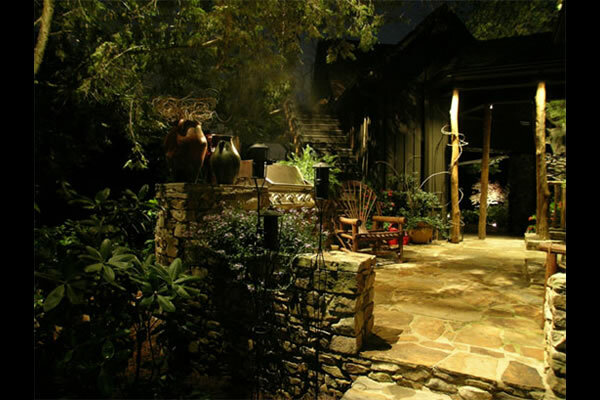 An oft overlooked element in patio garden design is outdoor lighting. Sometimes simply an oversight, but most often the reasons for not including landscape lighting are cost and bugs. I cannot stress enough the ambiance created with a well designed landscape lighting system. A soft glow washing the patio surface, illuminated stonework, and up lit plant specimens, provide drama, romance, and depth to the garden. Today’s LED systems tackle the cost and pest problems also. Although a bit pricier in the install cost, they are efficient to run, and the spectrum of light output does not attract the insects of the night. Last, but certainly not least for our discussion, are the plantings. 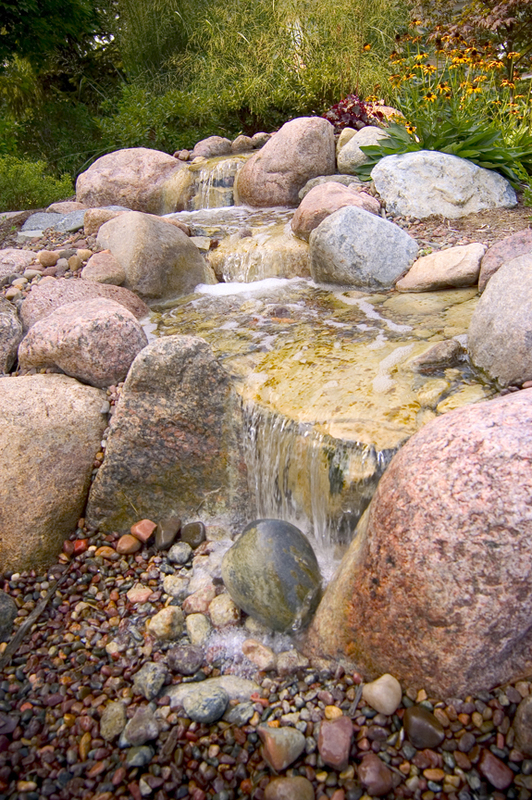 Plants are the softening ingredient in the landscape. 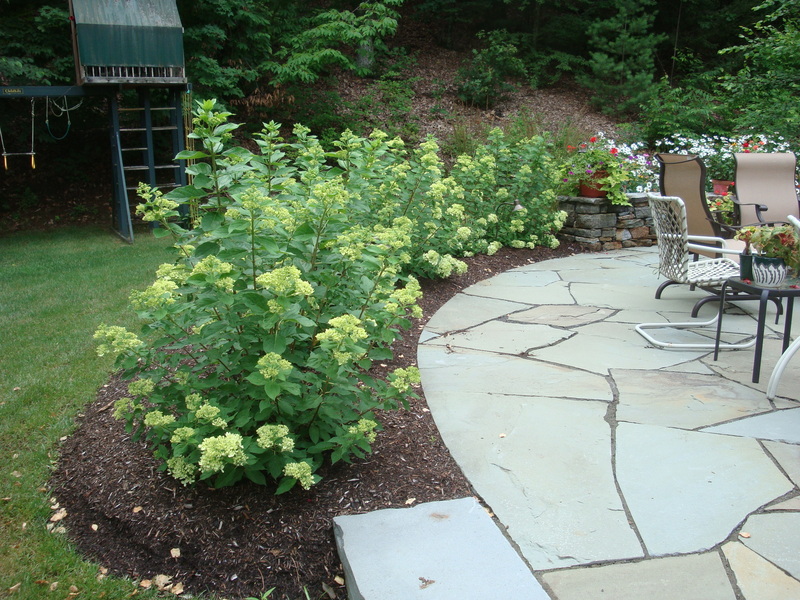 A well designed planting plan defines space within the patio garden, provides intimacy, and softens the harsh edges of the hardscape and architecture. 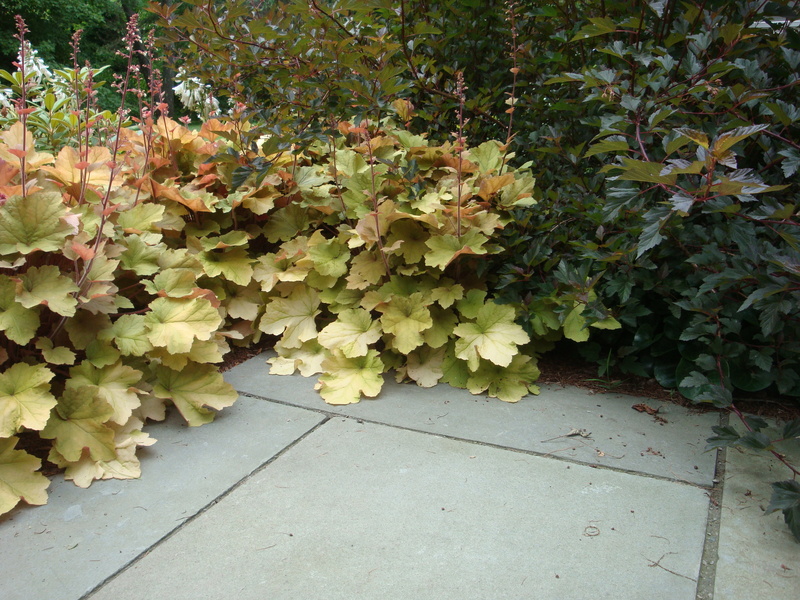 Balance within the space is achieved through the careful use of the texture, color, and form, of each plant. Like water, plants also provide movement in the garden; wind causes branches and stems to sway and pollinators buzz about as they busy themselves from blossom to blossom. Following another current trend, growing food is another great way to expand the feel and use of your patio garden. Grapes on treillage, tomatoes in pots, and greens and herbs in containers, add a tasteful element. 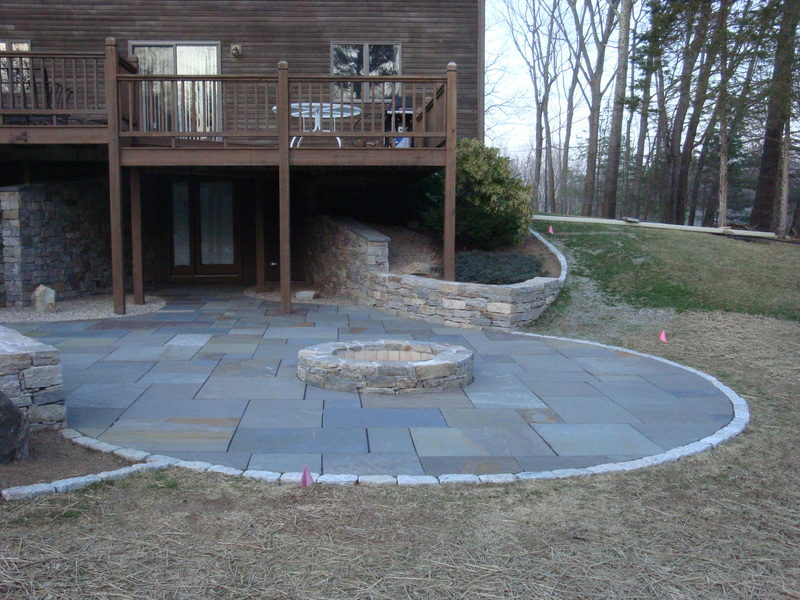 So there are a few of the elements we consider before designing a patio garden. Have they changed the image in your mind? 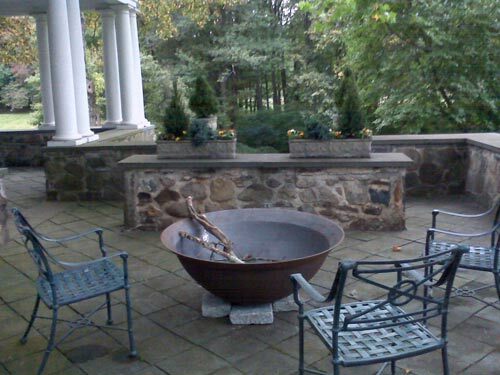 Have you used any of these elements in your outdoor rooms, in your patio garden? Please share your successes and ideas below with a comment; I’d love to hear from you! Remember to also follow the links to see what the other members of the Roundtable think about “Patios”! Wordless Wednesday 7.24.13 – Tuff Stuff! Wordless Wednesday 7.31.13 – A Pink Summer Storm! The points on geometry, and contrasting forms, is so needed. And while I’ve seen inviting spaces, especially really small ones, where plants are subservient or non-existent, those are rare and in rare places! 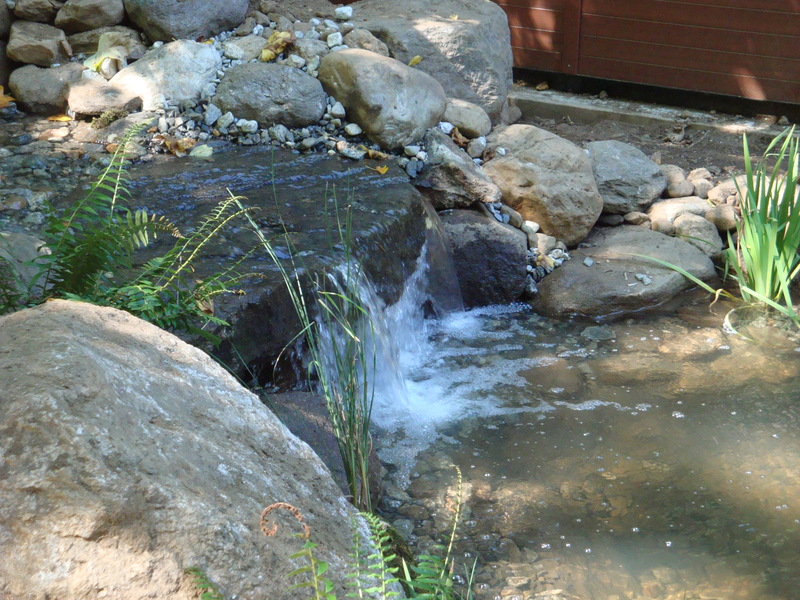 The habitat of even one well-placed planting like your examples show they aren’t so incidental. I love your term, “patio garden” — it really does bring the whole concept of the patio to life (I may steal it). Also,the features you highlight might seem like “fancy extras”, but they help make the patio more engaging, comfortable, and livable! Thanks for the great ideas! It’s not actually my term Jocelyn, and have no idea where I picked it up, but I’d be honored if you stole it from me! That is a great point, that some elements feel like “fancy extras”, and as such are often left out of the design. I try to stress the ambiance and use of the space instead of the particulars. The whole is greater than the sun of its parts, so to speak. Thanks for your thoughts!